It seems as though we hear about security breaches fairly regularly. They seem to be happening so often that I no longer want to pay attention when I hear about them. Unfortunately, that may be happening to many people. Sometimes it feels like a losing battle. But you can’t be complacent when it comes to your identity! Sometimes personal data is compromized not because of what you do, but as a result of a security vulnerability at businesses that store it. Even if you’re careful, your information may still be at risk. So, only provide the minimum amount of information that is absolutely necessary to do business with them. And be aware of what information you provide to which businesses. This will help you recognize if you’re the victim of an attempted scam. Yes, your data is “out there,” but that doesn’t mean you can’t do your part to protect it. Do your best to guard your passwords and the information used to maintain them (and your accounts). Avoid those entertaining little quizzes – you know the ones that tell you what your children will look like, or how long you will live, or what kind of person you are? Do you really think nice people put them in front of you for free just for your enjoyment? Those fun little coffee breaks are designed to get specific information about you. It may be a legitimate business gathering general information for marketing purposes, or it may be research for hacking purposes. Think about it – when you answer questions like “What’s your favorite color?” or “What was your first pet’s name?” you may be providing answers to common security questions that you provide when you set up accounts. These little details may make it possible for someone else to change a password and lock you out of one of your accounts. I cringe when I see my friends and family post their results on Facebook, afraid of what details they might have provided to who-knows-who. Use a password manager or vault that encrypts your passwords. Be aware of all the accounts you have, and what information is in them. Don’t provide personal information to strangers. Don’t provide information to businesses unless it’s necessary. Knowledge is power – as tiresome as it may be, listen to all of the reports you can about security breaches. That information may help you protect yourself against future threats. Watch your credit card balances, keep track of your credit report, and especially – protect your passwords. If you have additional advice for keeping your personal information safe, please add it here. Does Your ERP Software Embrace Your Comparison Shoppers? People research products. As shoppers, we check out all our options. We gather information about what’s available, we read reviews, and then we decide where to shop. Shoppers want to know what they’re buying before they buy it. They want to know if they’ll like a product, how it works, and what others think about it. They also want to know about you. They need to know that their information is safe with you and that their purchases will arrive quickly and without incident. They look for opinions before they shop, while they’re shopping, and when they’re finished, they tell others all about the product and their shopping experience. Motivate shoppers to use your website for researching your products and make it easy for them to buy from you by providing what they need. Add a social aspect to your website that keeps your shoppers involved. Keep them engaged with Ratings, Reviews, Comments, and Q&A. Reply to feedback, add comments to a thread, encourage questions, and offer suggestions. 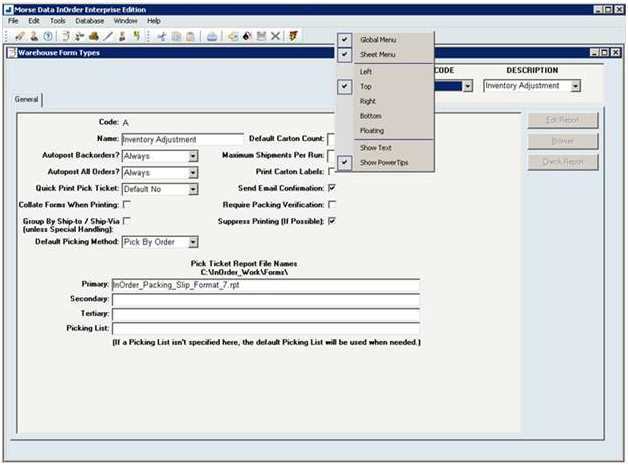 Further engage your customers with the InOrder Email Communications Enhancement. 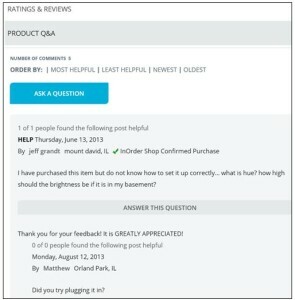 Thank them for their purchases, and invite them to rate the products they purchased or add their comments. 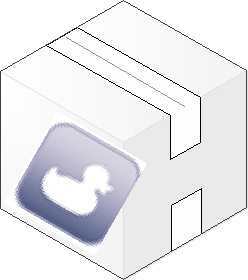 Set up a page of FAQs about your products, with answers for information purposes. You can also provide a place for your customers to ask questions with answers contributed by your experts or other customers. With full control over feedback, you can allow customers to post directly to your website, or you can approve or edit reviews and comments before publishing them. Interact with your shoppers and help keep them involved in the shopping experience. If you sell parts for antique cars, you can start a thread about local car shows and invite customers to post pictures of their cars with your parts. If you sell fishing equipment, you can define a forum about fishing equipment and start a thread about fishing lures. Or, explain different types of fishing poles and what type of fishing each are used for, such as ice fishing, or salmon fishing, etc. Invite customers to post pictures of fish they caught with your products. 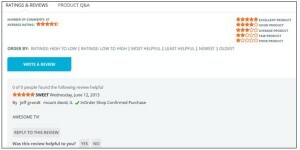 Forums, FAQs, and other community pages can be created at the category level, or they can be created at the product level so you can have details specific to a product. Rather than outsource these features, implement them with InOrder’s built-in functions that tie your products with reviews and your customers, keeping the details all in one place so you don’t have to maintain it in separate systems. 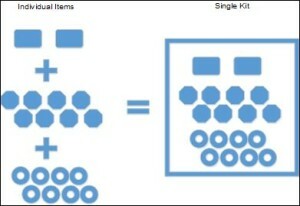 All this participation also contributes to your search content. When shoppers search for reviews and find your site in their search results, your website has a better chance of being seen. Shouldn’t your website be the one they go to for trusted information – and final purchase – when making informed decisions? 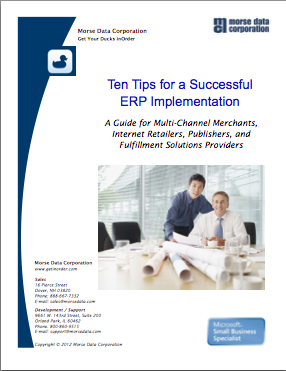 Good ERP Systems have everything you need to run your business. From ordering your inventory, to setting up your web store, to taking and processing orders, to paying your bills, and so much more. Make sure you’re using it to its fullest potential – and to yours. For more information about InOrder, contact Morse Data Corporation. InOrder’s Outbound Sales Call Center is perfect if you spend your days talking to customers. It is fully integrated with other InOrder modules, including Inventory Management and eCommerce, to provide quality service and optimize selling opportunities. The InOrder Outbound Sales Call Center provides a list of prospects and customers to call. 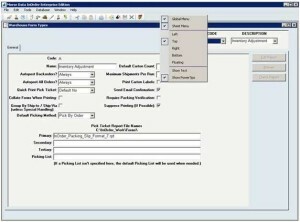 This list may be generated manually, or automatically using a selection from the House prospect list. You can display calls for past, current, and/or future dates. 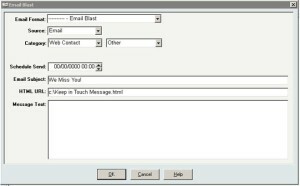 The Current Call Window is used to take or place calls with Prospects and Customers. 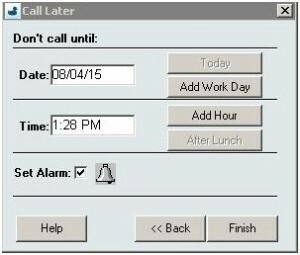 Among its many valuable features is the option to set reminders on your Outlook calendar for scheduled calls by simply clicking a checkbox. 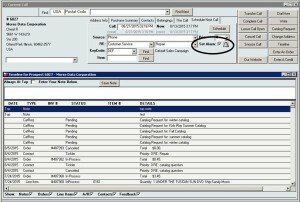 Every pending call in the Call List specifies a target call date and time. 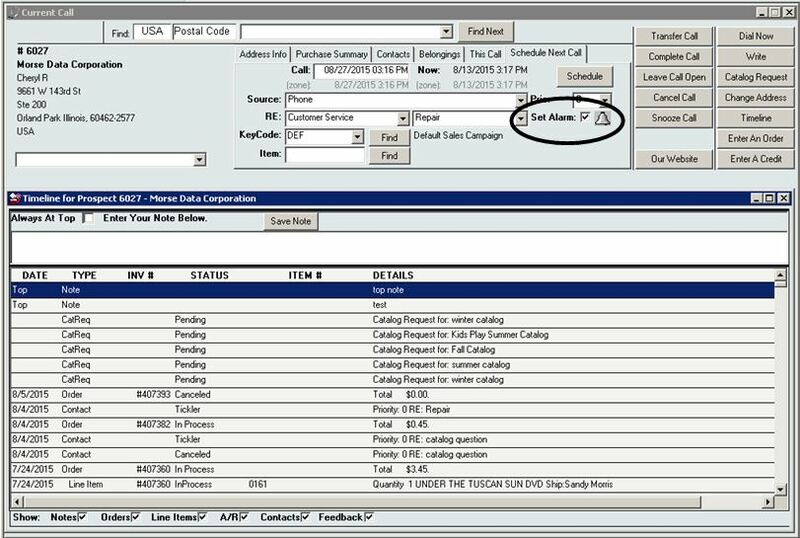 When you select a call to be made and do not get through or agree to call the customer back at a later time, you can update the Call List by clicking the “Snooze Call” button. This pop-up window gathers the information to be used for re-scheduling this call. 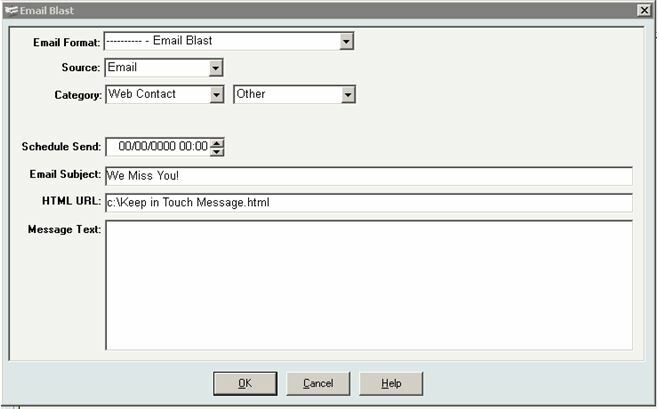 From the Current Call window, you can also access customer address and purchase information, call and Timeline details, schedule calls, enter an order or a credit, enter a catalog request, or send a fax, mail, or Email using one of the Microsoft .dot templates. For more information, contact us for a free demo or call us at 888-667-7332.